Only a fool crosses a god. Chosen as a five-year-old orphan to be the Left Hand of Death, Ellaeva has nothing to call her own—nothing except a desire to avenge her slaughtered parents. Lyram, third in line for the throne, is serving out his exile after the murder of his wife. When the castle is unexpectedly besieged, he fears his prince means to remove him from contention for the crown permanently. 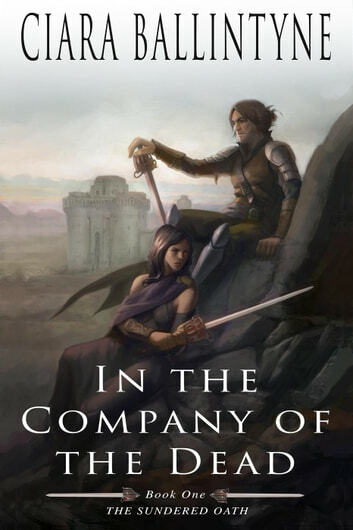 Ellaeva’s arrival at the castle brings Lyram hope, until she reveals she has not come for the siege, but instead to hunt for a hidden necromancer dedicated to the dark god of decay. 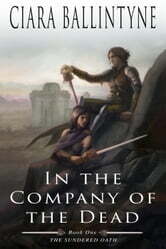 Wonderful start to a great fantasy series! I voluntarily reviewed an Advanced Reader Copy of this book. I read this book in 2 days! It was that good. For some readers, they may think this is a slow moving book, but keep reading. Ballintyne builds her world slowly, allowing you, the reader, to understand and know the characters, the gods and the politics. When the castle is under siege, the action really cranks up. I knew who the necromancer was before our heroes figured it out. Maybe, it's because I read a lot of mysteries. While I'm not into politics, this book made me care about the characters that were caught up in the politics, not only of man, but of their gods. The book opens with Ellaeva, a Death Priestess of Ahura, who is looking for the necromancer who killed her parents. But since she is in service to a goddess, she has no choice but to do what goddess wants, which is to "save" a fallen commander; not only from himself, but from other, more dangerous foes. The commander, Lyram is trying to drink himself into forgetting his wife's murder and the man who did it. He was banished from court for striking the prince, so here he is drinking his life away in exile, at a border castle. As he and the soldiers try to figure out why there is an army approaching them, Ellaeva shows up. While Lyram isn't pleased with Ellaeva, he knows better than to cross a Death Priestess, much less the goddess Ahura. I am so looking forward to the next book!